A marijuana-derived drug that helps control epileptic seizures appears to become less effective over time in some patients, a new Israeli study reports. 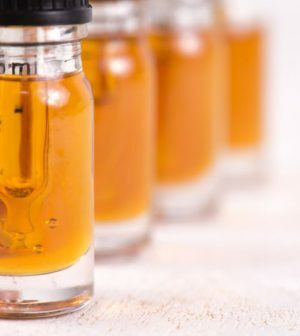 Cannabidiol (CBD) liquid has been proven effective against seizures, but about one-third of patients develop tolerance that blunts the drug’s effectiveness, according to research presented Sunday at the American Epilepsy Society’s annual meeting, in New Orleans. The study was led by Dr. Shimrit Uliel-Sibony, head of the pediatric epilepsy service at Tel Aviv Sourasky Medical Center’s Dana-Dwek Children’s Hospital in Israel. Epidiolex, a twice-daily oral solution, is the first FDA-approved drug to contain an ingredient derived from the marijuana plant. CBD does not produce a high; that’s caused by another compound in pot called THC. “This is not really a big shock: All the drugs we have and use, even when they work, a year later we’re frequently moving on to the next drug,” said Shinnar, director of the Comprehensive Epilepsy Management Center at the Montefiore Medical Center and the Albert Einstein College of Medicine in New York City.